The strong colours and composition look great,a superb shot well done. this is soooo sweeet Marita! So colourful..I would definitely go in !! LOL at Cindi's comment, my 1st thought was, a bald snowman does't have to worry about hair being out of order. Put some clothes on the poor snowman...gonna catch a death of cold. Cute shot, brilliant, happy colors. And a bald snowman! See, we wouldn't have to even go there or anything if we were all bald! LOL! Love it! Great colour contrast in this composition. Hi Mita , nice pix in Brazilian colors. 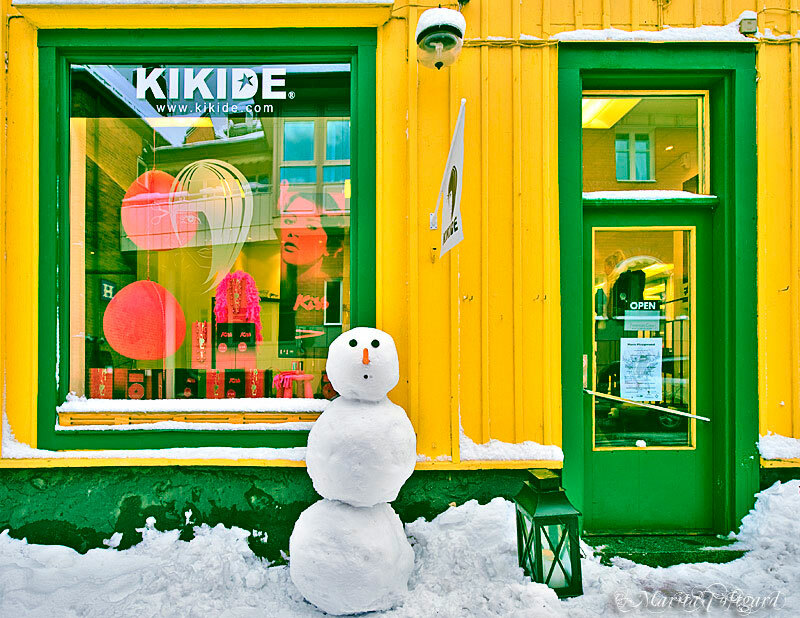 It´s funny those Brazilian touch and the snow doll in front of the shop. A very inviting salon shot Marita! Another great shot, Marita. This looks like a fun place to get a hair cut. really COOL!! !